Marin has spent its budget wisely with the Bobcat Trail 9.5. 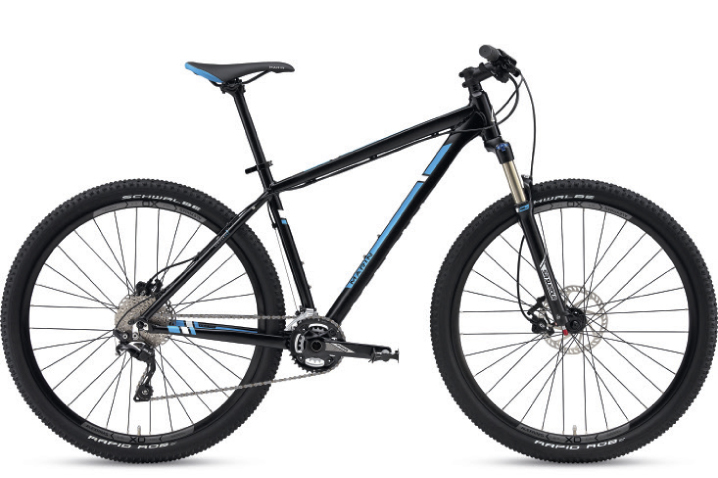 You get a Shimano SLX rear mech, a double chainset with external bottom bracket bearings, Shimano hubs with Centrelock rotors and the best hydraulic disc brakes on test. Good on paper then, but unfortunately it’s a bit of a mixed bag out on the trail. From the first pedal stroke, the 740mm handlebar felt enormous compared to what’s on the other bikes here, but it provided a fantastic level of control. That said, the bike is crying out for a shorter stem — the steering felt too floppy and quick to tuck under through low-speed corners. The steep head angle compounds the issue, and the overall ride quality is not as relaxed and fun as it ought to be. 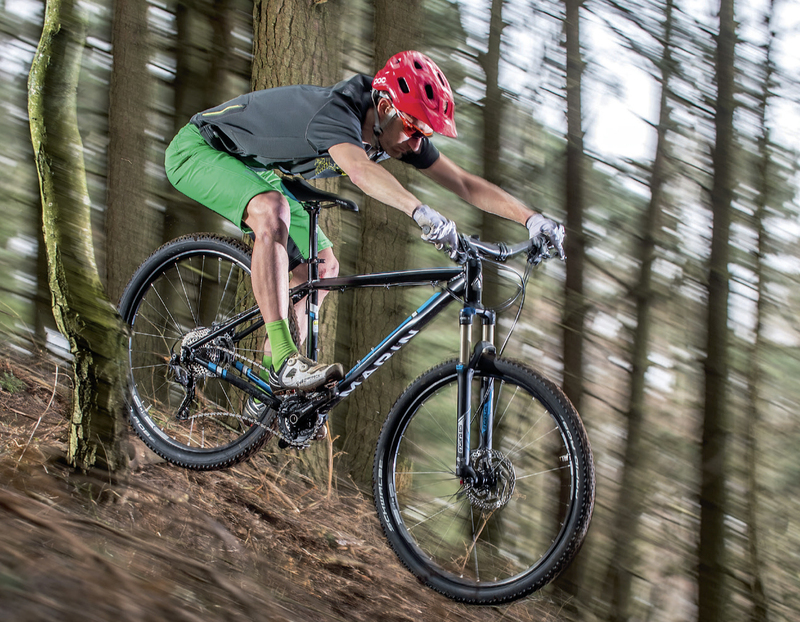 With its 2×10 transmission, selecting the right gear for the gradient is easy. The SR Suntour Raidon fork is coil-sprung and offers excellent performance. Beefy, 32mm upper tubes boost stiffness and it has enough rebound adjustment to stop it turning into a pogo on rougher trails. The frame is triple-butted, which ought to take the sting out of the trails, but the ride was harsh and unforgiving. And while the Schwalbe Rapid Rob tyres do a great job in the dry, on damp or muddy trails they struggled for grip. Ultimately, the Marin Bobcat Trail’s specification outshines its frame, and it failed to excel on the trail.